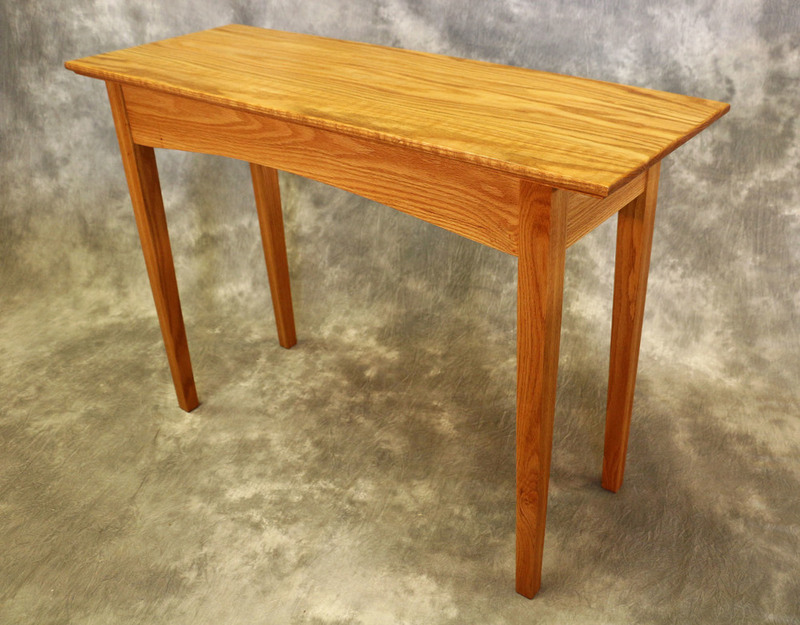 The hall table that you’ll make is only a by-product of the course. The table is a vehicle to learn most any technique in furniture making during it's construction. That said, you will leave with a beautiful piece of furniture. You'll begin on the first day of class with 24 board feet of rough sawn Red Oak. The material you'll receive is the highest grade of dimensional lumber available. 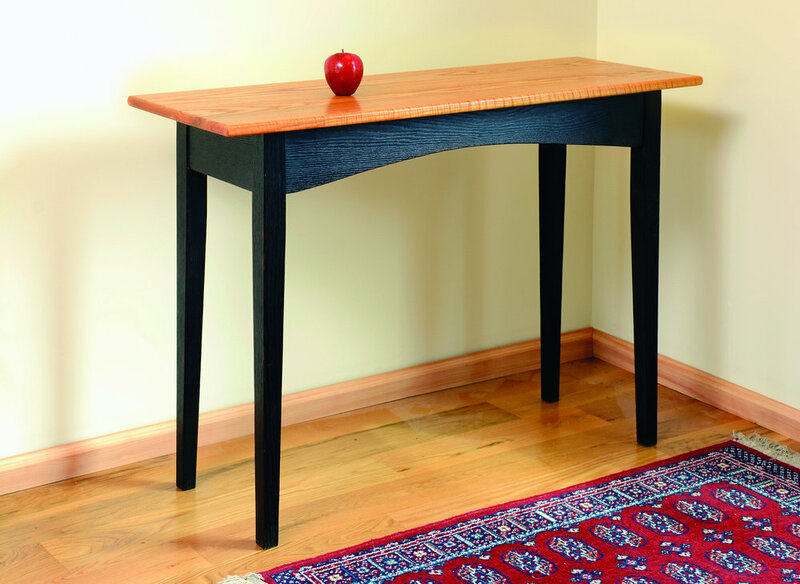 Throughout the week, you will use traditional methods and techniques to construct your hall table. 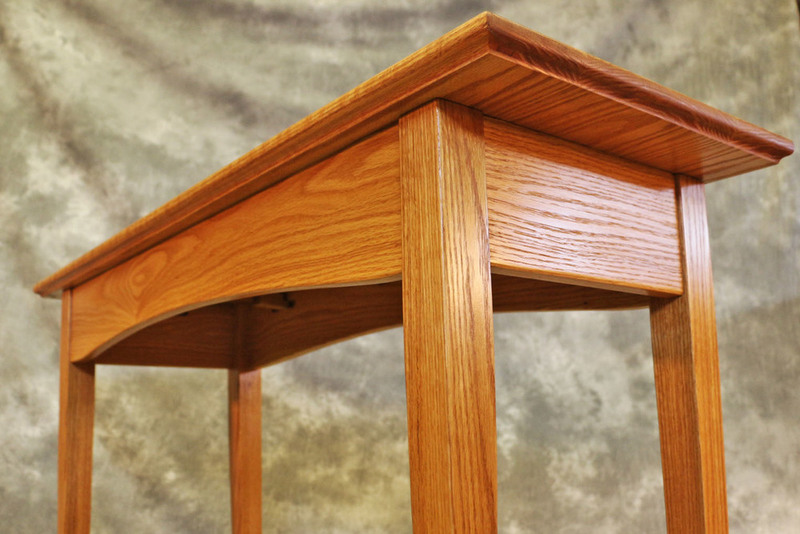 Mortise and tenon joints bring the table's base together. You'll have a large amount of details to choose from to stylize your piece. From moulded edges and detailed skirt boards, to various leg treatments, we'll be able to assist you in developing a table with finished style that's all your own. In our finishing demonstration, we'll show you how to achieve tones from a light golden color, to a deep rich brown. Beyond coloring, we'll show you how to achieve a flawless film finish so your table looks and feels like a professional quality piece.